Recycle a damaged, worn or otherwise useless wool sweater by transforming it into felt fabric. Wool that is washed and shrunk until it is dense won't unravel and results in a very versatile crafting material. 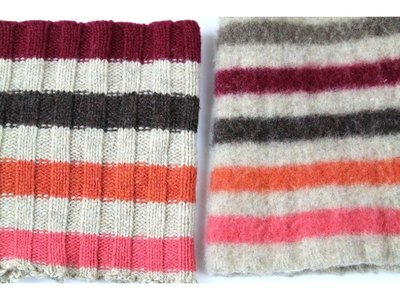 Wool felt is easy to cut, sew and manipulate into warm winter clothing, accessories, toys and home decorating projects. 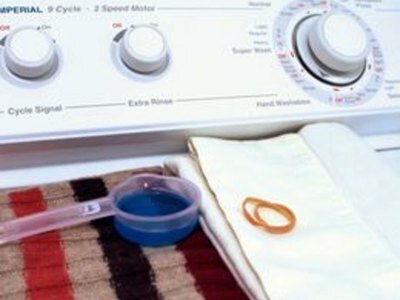 To create felt you'll need a 100 percent wool sweater, a little detergent, a pillow slip, a rubber band and access to a washer and dryer. Read the fabric content of the sweater and beware of labels that say washable or super washed wool--these won't felt. 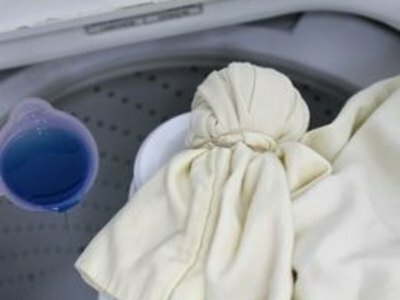 Wash in hot water with 1/8 cup detergent. 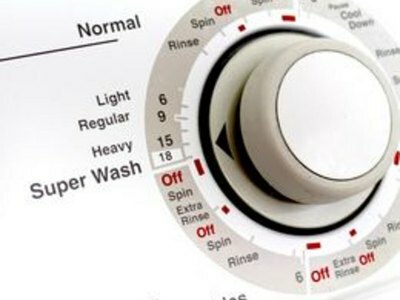 Set the washer to produce the most agitation in the smallest volume of water. 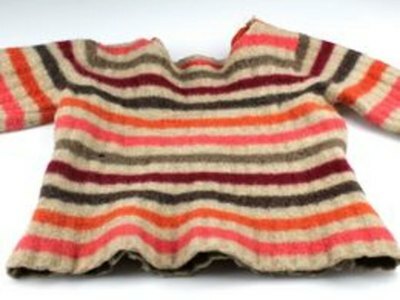 Agitation causes the wool fibers in the sweater to tightly connect and shrink, and creates a dense, warm, durable, felted fabric. 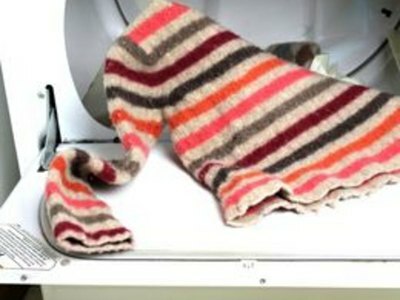 Stop the washer after the wash portion of the machine's cycle and inspect the sweater's weave for shrinkage. The weave becomes less apparent and the fabric will be thicker and fuller. Repeat the wash portion of the cycle until the sweater is about 1/2 its original size. Finish by running the rinse cycle. 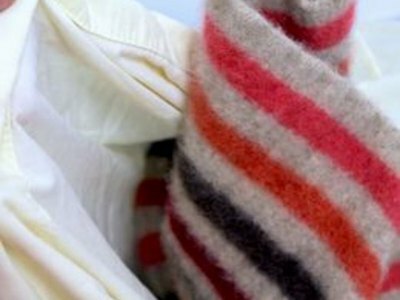 Aggressively remove any wads of wool or fuzz balls from the sweater. Removing the fuzz won't damage the wool but does improve its texture and quality. Tumble dry the sweater on high heat. When thoroughly dried, pull additional fuzz balls until the surface of the wool is smooth and even. Cut and use the finished sweater felt for your craft projects. 100 percent lambswool felts best. Check for holes in the sweater; holes become larger during the felting process.